Mixing patterns can be stressful; however, you must remember that they don't always have to "match" to go together. 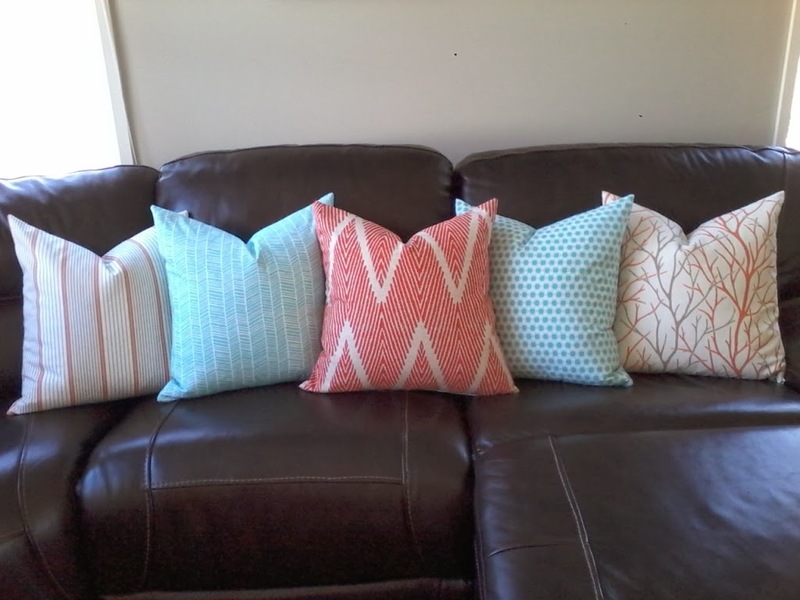 I just recently finished finding fabric and making pillows for a client of mine. We wanted five different fabrics, and wanted to pull in coral/orange & turquoise colors into the room. The combination turned out great with the rest of her room!